MotorDog69’s Set Screw Harley Air Cleaner Coin Mount. · Fits 2014 to 2017 stock Harley Air Cleaner Covers. Personalize Your Own Stock Harley Air Cleaner. · Choose from our challenge coin selection or use your own 1 3/4" coin. Challenge Coin shown for display purpose. · “Add a piece of your life to your bike” with MotorDog69's Challenge Coin Mounts. · Now you can "Mount a coin, ride with pride, flip coin over, or remount a new coin, to get a new personalized look". · Bundle Includes; Set Screw Harley Air Cleaner Coin Mount, Set Screws, Allen Wrench, and Easy to Follow Instructions, Personalize Your Ride Today! 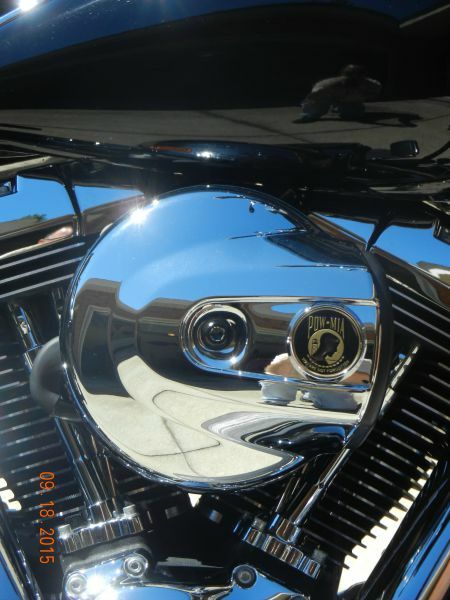 · Kit Benefits; Easily mount and remove challenge coins to personalize your own stock Harley Air Cleaner Cover. Mount a coin, ride with pride, pop coin out, remount a new coin, get a new personalized look!